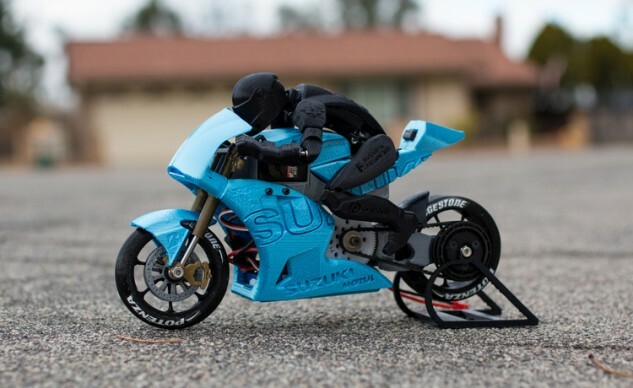 Build Your Own 3D-Printed RC Motorcycles! 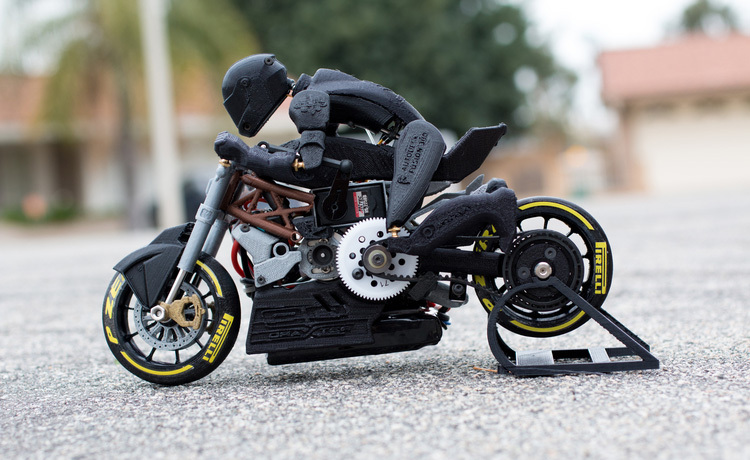 If you’re a fan of 3D printing and motorcycles, we’ve found an ideal project for you. Designed and posted by Brett Turnage, these plans were developed for a bike-crazy friend and have been released into the wild on Pinshape.com, a 3D-Print file sharing site. Note, Turnage’s two bikes aren’t models to sit on shelves and look pretty. 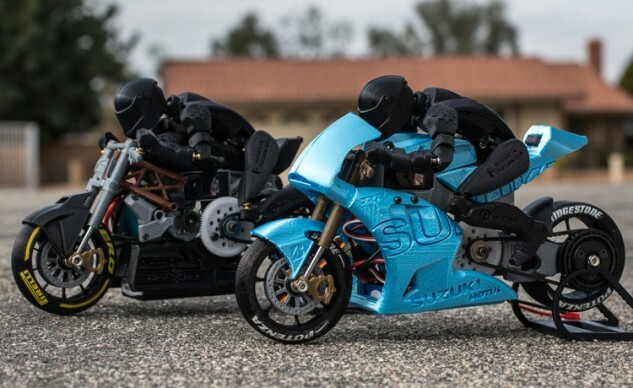 They will produce fully-functional radio-controlled (RC) motorcycles – complete with an animated rider that steers the bikes. There’s not much room inside the models for the RC gear to live. The rider needed to be able to steer the bike. So, the rider’s left arm is attached to a servo motor and steers the bike as the motor moves the arm fore and aft on the model. Very cool. The rider’s head and torso also rotate as the bar is turned. 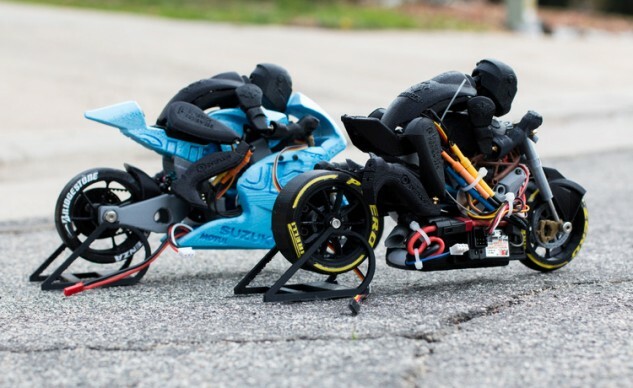 If you are an RC aficionado who also owns a 3D printer, head over to Turnage’s pages covering the bikes (here and here) and pick up the design files and assembly instructions.